WOW can I see why it's described as deluxe! 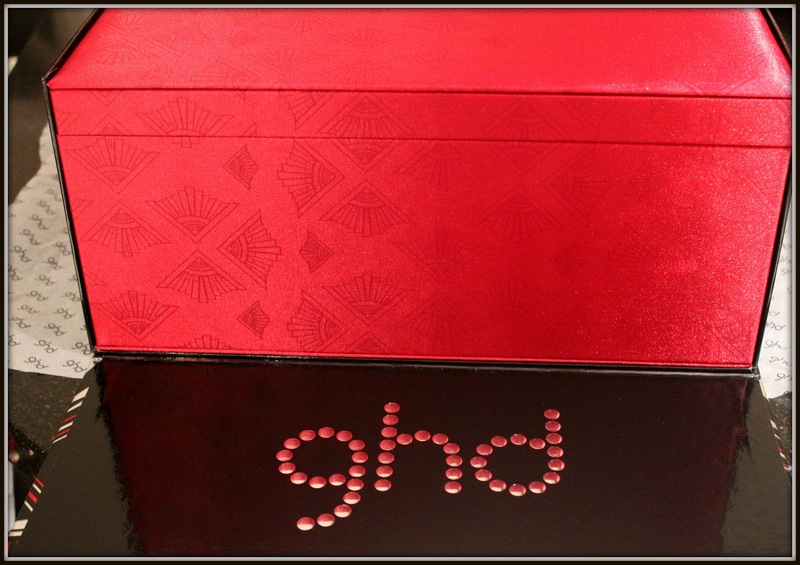 It comes packaged first in a black box adorned with 'ghd' in crystals and decorated with red swirls. 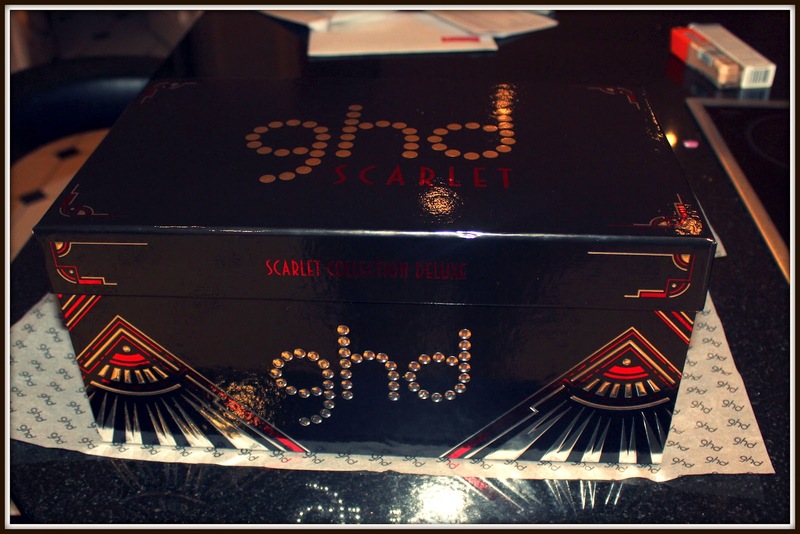 Upon opening the lid a black tab falls forward and 'ghd' is once again written in crystals as you are greeted with a gorgeous red embossed box with the silver ghd badge placed upon the black pleats. 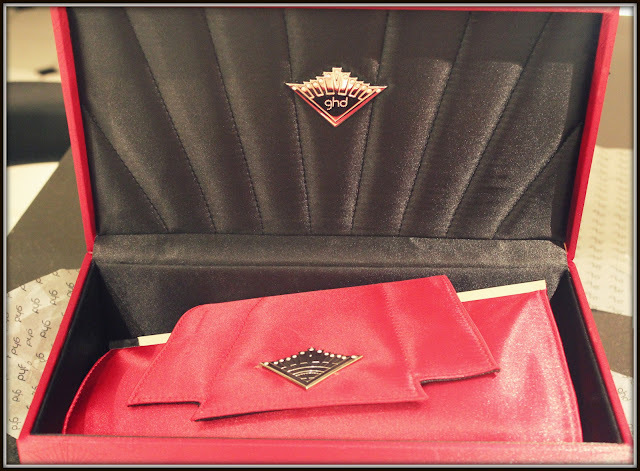 Once you open the lid of this box it reveals a twenties flapper-inspired 'handbag' style case which contains the Scarlet straighteners (and can be used as a travel case and also as a heat mat) and two large hair clips - finally underneath this vintage looking red clutch is a hair-dryer!! 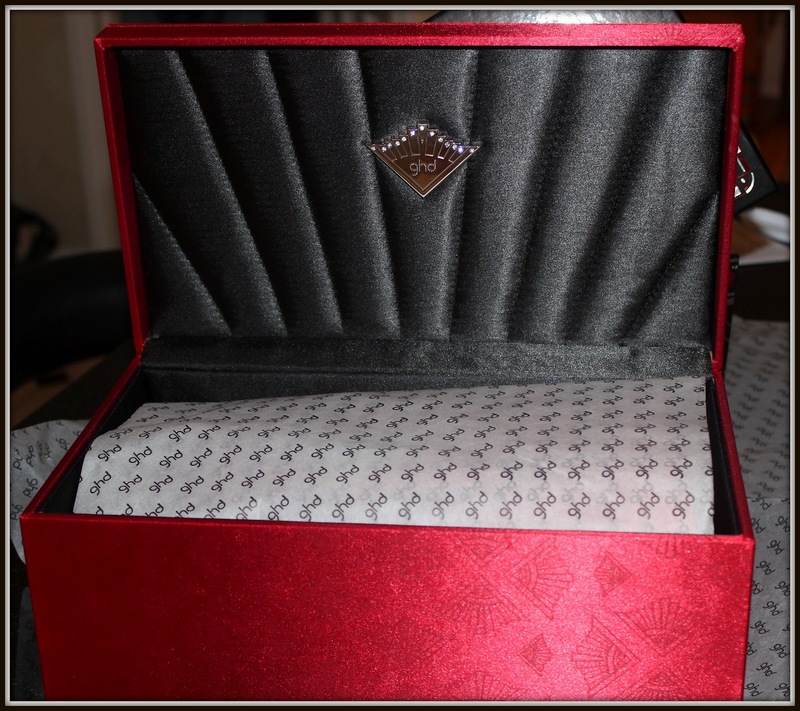 It really felt like I was unwrapping a gift with the layers of different items and all the surprised included inside such as the hairdryer, the gorgeous travel case, the hair clips etc. I give this a 100000/10 for packaging and it certainly lives up to the 'deluxe' description. I know other people have said it, but this REALLY would make an absolutely ideal gift for someone. 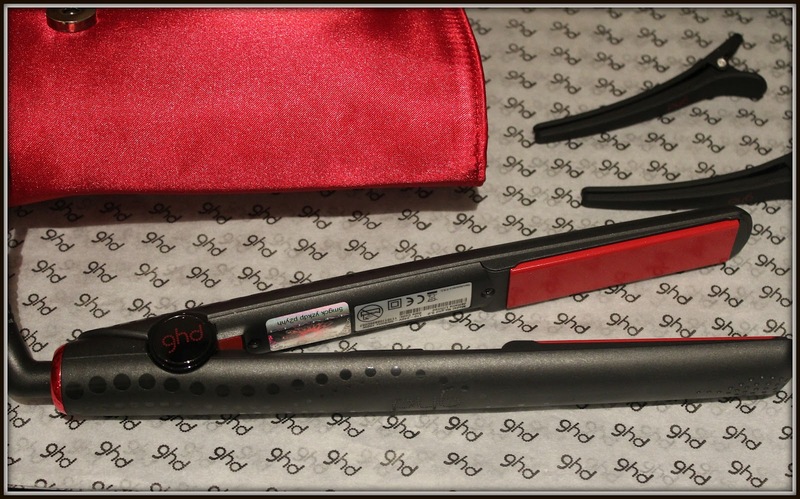 I don't think I need to say that ghd's are the 'go-to' brand for hair straighteners. I know cloud9 and other brands have been receiving great reviews but I have had GHD's for years now and have found them to be the best for straightening and styling. 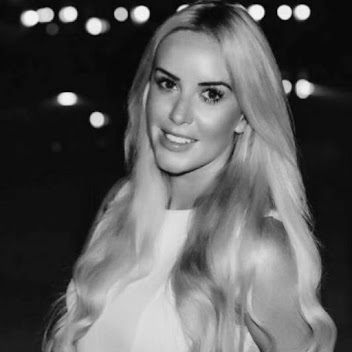 They are completely worth the money as most of us reach for them every day or at least every single week and they last for years and most importantly - they work. 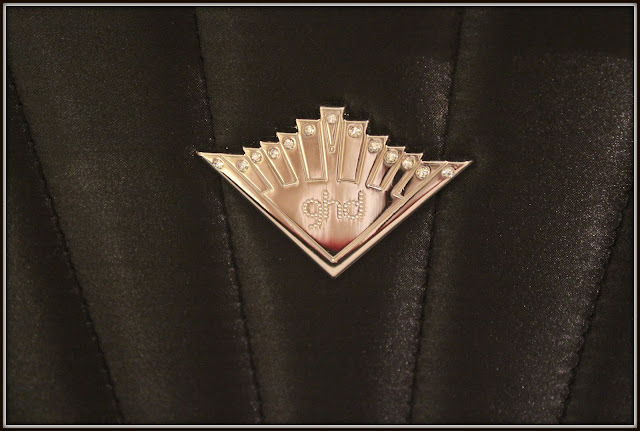 Usually I'd be sceptical to induldge in a 'deluxe' version of something but this is really worth it. For £149 (£20 more than the standard scarlet package) you receive all of the extras - plus a hairdryer! 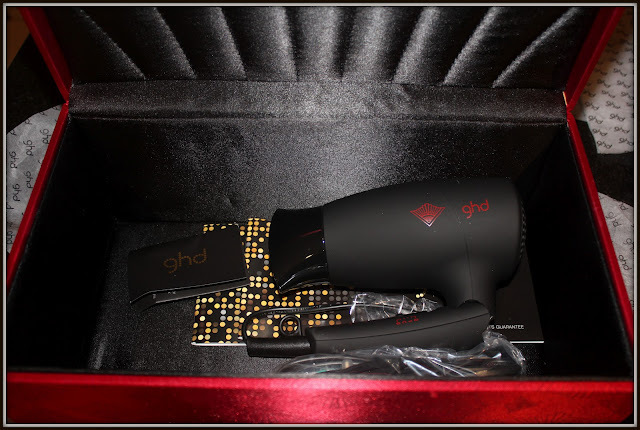 It feels like ghd have really put the effort in to create something that feels special and truly does capture the spirit of the twenties. Finally, absolutely all of the packaging can be used for storage - so you're not just paying extra for some shredded tissue!